Ok, well I was just going to do this for Lizzie -- but then I thought, "Hey, a lot of people borrowed work off of the share your artwork threads" so I figured I'd post the link to my photobucket for everyone to use. Since we don't have access to those threads now and may not have saved the info to start re-using them here. Feel free to look around and steal whatever you want. Except, ya know, the banner I'm using right now. :D If you'd give me credit that'd be great too. 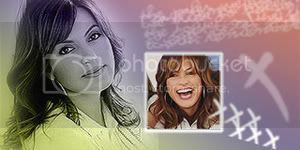 Mostly SVU/Mariska/EO -- lots of icons and banners, and a few wallpapers. My style is kinda basic, I can't do all that fancy stuff, but I'm big on pretty colors. There are also some random pictures. Probably best not to borrow those, since I don't remember who to credit for all of them. But all the artwork is my own. I will eventually(week or two) have a place setup on the server for avatars, sig images etc so you can hotlink to them there. Just have to survive 18 hrs on a bus tommorrow. :? You can find stuff in mine too..
Otalia - The greatest love story ever on TV! BUT I just noticed it ONLY updated the posts since I've had a pix in my siggie, NOT the before ones! To update the before ones you would have to go into every post and edit it down at the bottom you would check Attach signature. Not that it's worth the effort. I did it cause at the time I only had 12 posts. Nevermind...maybe I just need sleep and it will all make sense tomorrow! tech wrote: Do you mean signatures? We'll work it out soon.